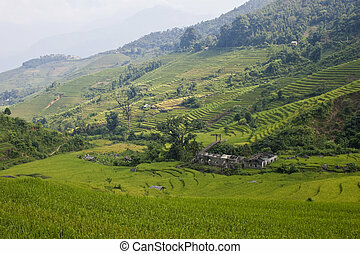 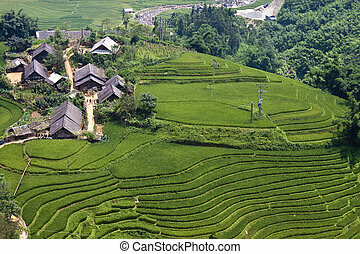 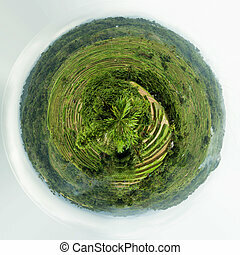 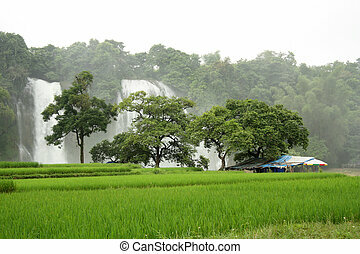 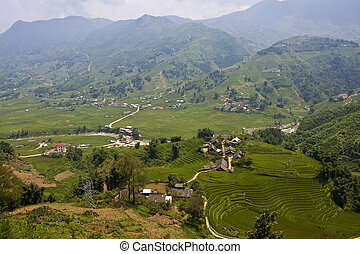 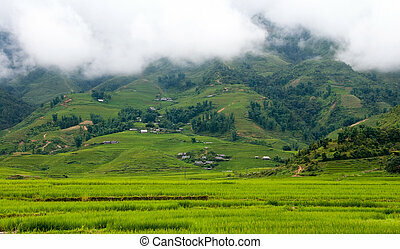 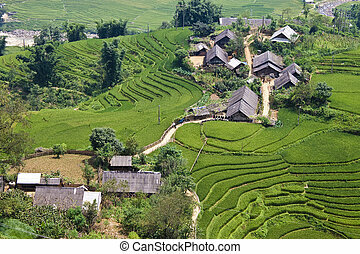 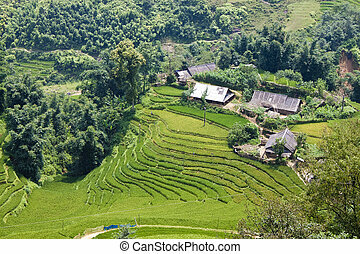 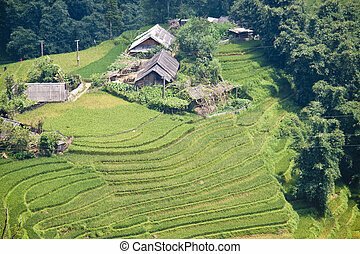 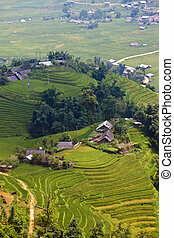 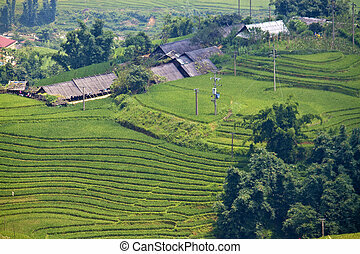 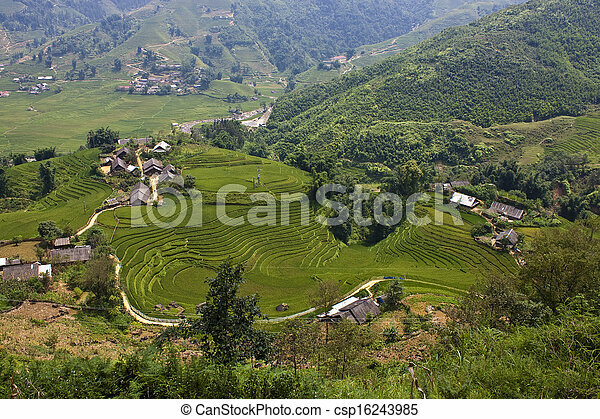 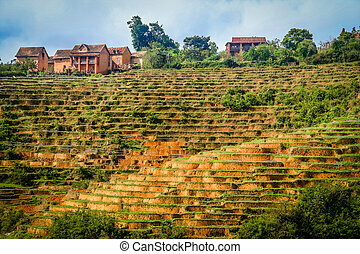 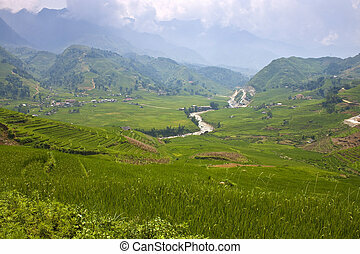 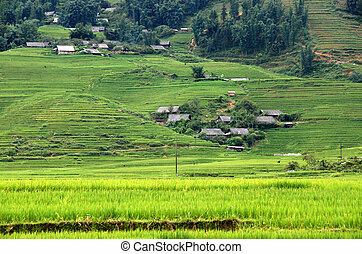 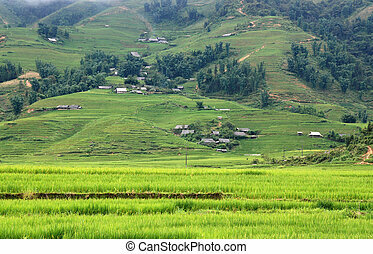 Paddy fields and small villages in mountains of northern vietnam. 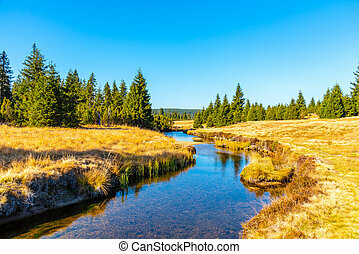 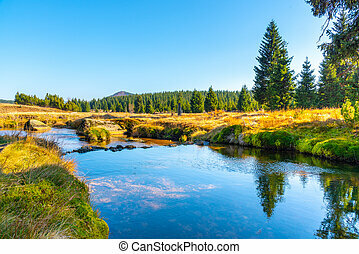 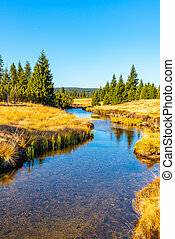 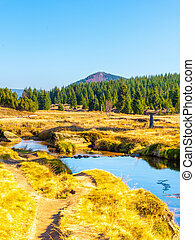 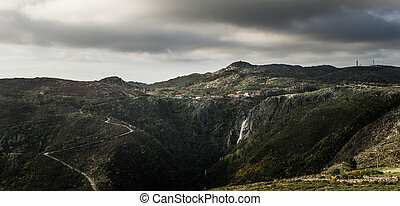 Panorama of small village on top of a huge gap in the mountains with a waterfall going along it. 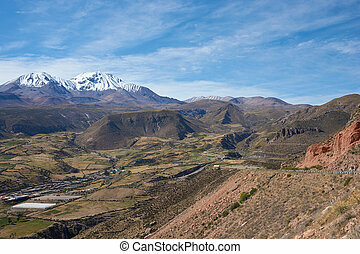 Small town of Putre in the Arica and Parinacota region of northern Chile. 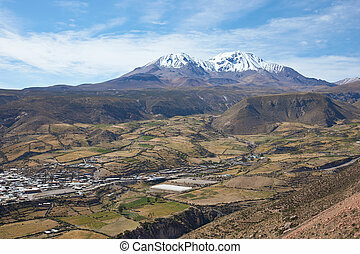 The small town sits in a fertile valley below the dormant Taapaca volcano (5860 m). 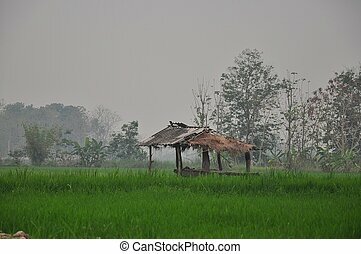 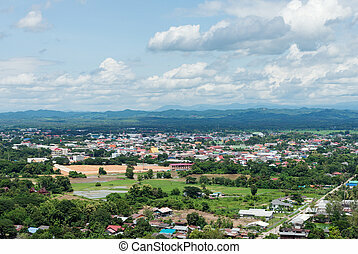 Small urban town in the high valleys of the northern of Thailand.